Self-employed taxpayers can avoid owing taxes each year by making quarterly estimated tax payments in April, June and September of the current tax year and January of the following tax year, in compliance with IRS and State regulations. Estimated tax payments are used to pay taxes if taxes are not withheld from an individual's earned income. That income can include earnings from self-employment, interest, dividends, royalties, other investment income and alimony. The estimated tax payments must be made on a quarterly basis. For 2012, the payments are due by April 17, 2012, June 15, 2012, September 17, 2012 and January 15, 2013. If the payments are late or the amount is insufficient, the IRS may assess a penalty for underpaying tax. The requirement to make estimated tax payments is especially important for individuals who receive Form 1099s each year showing the income earned through self-employment. In her work with her tax resolution clients, Lesley A. Sive, Attorney at Law, has seen first hand how many self-employed taxpayers fail to make estimated tax payments during the tax year. The taxpayer files a tax return with a balance due but does not have the money saved to pay off the balance with the return. Although the taxpayer can enter into an installment agreement to pay off the balance due, now he or she must not only make the monthly installment payments, but must also make estimated tax payments for the current year. If the taxpayer cannot keep up with both sets of payments, his or her tax problems will continue to compound. An easy way to approximate the amount of quarterly estimated tax payments for 2012 is to take total taxes for 2011 and divide by 4. A more accurate way to determine estimated tax payments is to use the IRS Estimated Tax Worksheet found in IRS Publication 505. As a general rule, through estimated tax payments, a taxpayer must pay at least 90% of the tax on his or her tax return for 2012 or 100% of the tax on his or her 2011 return, WHICHEVER IS LOWER. So, if a taxpayer owed less tax for 2011 than he or she will owe for 2012, the taxpayer must pay 100% of his or her tax liability for 2011. On the other hand, if taxes for 2012 are less than in 2011, the taxpayer must pay 90% of his or her projected tax for 2012. As an exception to the general rule, if a taxpayer's income for 2011 exceeded $150,000, he or she must pay 110% (rather than 100%) of last year's tax liability. Lesley A. Sive, Attorney at Law, is a 1985 graduate of Loyola Law School, Los Angeles and is a member of the State Bar of California. She has successfully resolved thousands of tax resolution cases across the United States involving payroll and sales tax, personal and corporate income tax and civil penalties, including trust fund recovery penalties. The resolutions she has obtained for her clients have included installment agreements, offers in compromises, penalty abatements, garnishment and levy releases, lien subordinations, discharges and withdrawals and innocent spouse petitions. 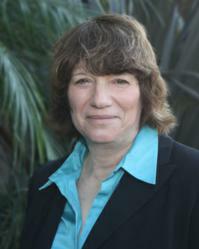 She represents clients in audits, IRS and state tax appeal hearings and in the United States Tax Court. For more information, or to obtain a no-cost consultation, contact Lesley A. Sive, Attorney at Law, at (310) 980-5798 or visit http://www.lesleysivetaxconsulting.com.